What an important turning point this is for Just Me! Even though he himself has been the victim of the process, he often defends the IRS agents who worked with his case as innocent powerless individuals working in a command structure; and he has also defended the IRS as not really targeting the minnows. But now he realizes that Geithner intended all along for the Overseas Voluntary Disclosure programs to net minnows. So what sort of predator are we dealing with? I want now to take an excursion into the animal kingdom. Apparently, animals don’t eat humans without great necessity compelling them. Indeed, in Roman games in Antiquity, animal managers found it necessary to train animals to eat human flesh. An untrained animal set loose on a human may refuse to attack and eat, much to the chagrin of the spectators who expected a show. So the animal trainers taught lions, tigers, bears, and even seals, among others, to attack and eat humans to create a more successful spectacle. My theory is that animals eat what they eat in the wild and they ignore just about everything else unless there is a shortage of their normal food. Then they will look high and low and eat anything that they can find. 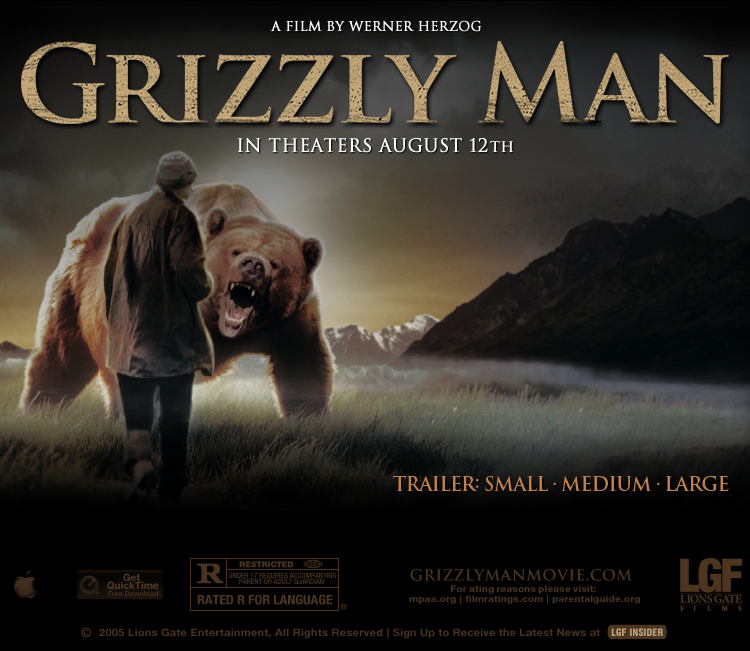 Timothy Treadwell, the so-called Grizzly Man, spent thirteen summers in Alaska’s Katmai National Park, making videos of himself with the brown bears. The bears paid no attention to him, even though for thirteen summers for many days in a row, he would put himself into harm’s way. The bears would just simply grunt and walk away to the places where they gourge on the salmon or the berries which are their natural foods. Until the final fateful summer night, the day before his pilot would pick up him and his girlfriend to take them back to civilization for the season, a half-starved aging bear named Olly (Treadwell named all his bears), sauntered into their camp, and fed on Mr. Treadwell and his girlfriend. Apparently there were less salmon that year and Olly was looking for an alternate food source. Found one, he did! These HU-mans, though they scream a lot when you first grab them, don’t fight back much, and their flesh is pretty good. I’ll add this to the list of things I eat: salmons, berries and HU-mans. The next day, the pilot after landing his plane saw Olly charging out of the brush straight at him. So he flew off and returned with an armed Fish and Game officer who dispatched Olly; they didn’t have to hunt him down either, for as soon as they landed again, Olly came charging. It is legendary in Alaska (my home state), that once a bear eats human flesh, the only way to stop it is to kill it dead. I am afraid that this is the United States government. Its normal food is the domestic variety. For a while, there was so much of it that they even sent it away in the form of aid to other countries. Now, however, the USA has reached the end of its credit limit. The ostensible debt is over 15 trillion, higher than 100% of the entire GDP of the country, an important marker of insolvency. Facing this bankruptcy, the US must (1) find alternate sources of revenue; (2) increase revenues from domestic taxpayers; (3) live within its means; or (4) debauch the currency. My view is that they will not be able to do (2) and (3). Increasing domestic revenue is impossible because the economy is tanking and it would mean raising taxes on everyone across the board, not just on the rich who already pay a disproportionate share of the taxes in the US. Living within their means would require laying off about half of the DC workforce, pulling the military out of a thousand countries and pruning welfare, social security and food stamps. So (2) and (3) are not going to happen. So we are left with a starving predator who has found a new source of food. These EX-pats, though they scream a lot when you first grab them, don’t fight back much, and their flesh is pretty good. I’ll add this to the list of things I eat. In the meantime, the US is debauching its currency through quantitative easing (i.e., debt monetization), and EX-pat food becomes all too valuable and tasty in comparison. If the United States is a starving brown bear, what can we do? (1) Don’t feed the bears; feeding them only encourages them to return regularly to where they can find easy food. (2) Avoid areas with bears; if you can’t kill a bear (and we can’t), then the best thing for an EX-pat is to stay away from the bear’s known territory. (3) Kill the bear that feeds on EX-pat. Well, we don’t have the power to kill it. But FYI, the only presidential candidate who has promised to abolish the IRS is Ron Paul. « "Organisation of Swiss Citizens Abroad" denounces discrimination by Swiss banks. @Petros, a brilliant analysis. Thanks so much. The bottom line is that if you are a US citizen living abroad you have two choices: Return to the US or renounce your citizenship. Otherwise your probability of survival is very low. I would not be willing to bet that the next shoe to drop could well be the ability of US citizens to claim foreign tax credits to offset their US tax ability. That is the last survivability-living-abroad straw, and it looks pretty fragile to me. Nobody in Washingtion has mentioned this yet that I am aware of; but don’t hold your breath. You are wrong about the rich and taxes in the USA. Look at the marginal tax rates and when they kick in in these different nations. You are earning nine times the average rate in the USA when you start paying 42% marginal rate. In Nordic nations you are earning 1.8 times.. The US rich get a free ride. I agree with Roger on the “survivability” of US Citizens abroad. It looks like the FEIC is under attack. It’s been there for awhile, but I don’t recall seeing the FATCA being proposed 40-50 years ago either. Sometimes I’m just baffled: it looks like they will never back down, even if there are ZERO US Citizens living overseas. 1- I avoid making doom and gloom predicitions. The US controls the world. If they DO actually default one day, it is because they wanted to, and not because they are “forced” into default by the rest of the world. 2- If everyone expects something to happen, the opposite is going to happen, at least temporarily. Why do you think they have words like “bull trap” and “bear traps” in the financial markets? Now if the tax burden on the top earners increases, they will fly from the country faster than at present. So the US government must increase taxes on the less wealthy, who do not have the power to flee. But since these earners vote, they go after EX-pat food instead. I’m sure that you agree that we expats must not feed this beast–at least from other comments that you’ve made. Cheers. I had an epiphany similar to Just Me. I started to do a “stakeholder analysis” of citizenship-based taxation and FATCA and came up with a lot of reasons for implementing it and a lot of actors who are going to benefit. Clearly the US gov needs revenue. Clearly it can’t pay its bills or satisfy US citizens in the homeland through domestic taxes. Add to this potentially explosive cocktail a real hostility among homelanders toward US emigrants and U.S. immigrants that make them a politically correct choice for plucking. Shake all this and stir and I just don’t see the bear backing off. Their intent is ever more clear every day. I love the word disproportionate. Disproportionate to what, exactly? They get tax breaks all the time from congress that have no benefit to those of us living overseas (payroll tax cut, AMT patches for inflation, but not for US Dollar declines) and stupid government kick-backs that we have no access to (cash for clunkers) and they get deductions that they deny us (tax deferred retirement, prepaid medical insurance, sales tax deductions), so that they pay a lower real income tax rate and then they rob our savings through fictive capital gains taxes that exceed 100% of real gains. Considering that they get 100% of the government services and we get effectively zero. Considering that we pay extraordinary taxes already, what would be a disproportionate tax rate for Americans on shore? @Joe – the other thing that the US fails to even remotely consider are the VATs and other taxes to living in other countries. *** I’ve done the calculations, in most cases people give up around 80% of their paychecks, or a little more. *** Trust me, there are many other cheaper places where I could live, but I can’t go because this is where my family is. @Roger, my father-in-law has told me many times that in the 1970s, taxes were high, but difficult for the government to collect. Now with computers, it’s totally different. They lock up your tax ID and it’s unavoidable. @geeez, As far as VAT is concerned it is of no interest whatsoever to the IRS. The law taxing citzens living abroad is to punish US citizens if they live in a country which does not have an income tax rate at least as high as the US tax. If you live in a country with a low or no income tax at all you will be “deservedly” punished. Since the US does not levy a VAT tax the US couldn’t care less that you pay VAT in some other country. I would be interested in what she considers to be the “fair share” for the US citizen born abroad to a US parent, who does not speak a word of English, has never held a US passport, never lived in or visited the United States in his or her whole life. As far as the US knows this person does not even exist. He or she clearly receives zero benefits from the US Government and therefore his/her proportionate “share,” is zero. Why should this kind of a person logically have tax obligation to the US? 1) Everything they have ever or will ever earn is fair. 2) They have an obligation because Congress can make such laws and get away with it. When 96% percent of Americans on-shore personally benefit from them, there will be no opposition. 3) America has borrowed from its future for the last 30 years and has run out of future to borrow from, so… confiscation will get it a few more miles down the road. @zuludogm, your assessement sounds pretty accurate to me. Proably 96% of Americans living in the US are not even aware that Americans living abroad pay US taxes, and could care less because they have never thought about it. Some 91% of those abroad that do sumbit tax returns end up owing zero, but they ridicously are still required to go this expensive and time-wasting exercise. What a total waste of resources. There you go again! Baiting the Bear Thanks for this post. Watching those hearings on Cspan has put things into a new perspective for me. I am beginning to liken the IRS VD jihad and Carl Levin’s FATCA fiasco to the War on Iraq. It started as a mission to eliminate the WMD, and quickly evolved to a broader War of Liberation and Democracy for Iraqis. Just had to displace a couple million Iraqis to do it, and kill a few hundred thousand to make it safe for US Contractors. When the WMD target wasn’t found, they readjusted the label and carried on. I am pretty sure the OVDP did start out all about the Whales, but now the target is clearly Expats (as shown by Geithner language) and Minnows as represented by Moby’s analysis of FAQ 52, and immigrants as represented by the cries of pain have I read on Jack’s and Phil’s blogs for months and months. You have to let that one sink in to realize how stunning that FAQ is. These are definitely moist little morsels for the Bear. Then…as a follow up to FATCA the IRS ups the ante and creates DATCA for US banks, you have to be blind not to realize the mission has morphed into something else. And yet the US media is silent. I made the mistake of thinking they were the just the bumbling bureaucracy that would do the logical thing and take corrective action when the error of their program it was pointed out. However, the refusal of Shulman to officially respond to the “bait and Switch” TAD issued by Nina Olson, the lack of any discussion in the Congressional hearings so far about the National Tax Advocate Report to Congress related to international tax complexity and compliance issues for Expats and immigrants, and I have reluctantly concluded they have become the marauding Bear. They have no interest in corrective action, or coming back to the Iraq war analogy, do they plan on conducting a speedy retreat when the original objective of the mission was accomplished or not found. I would be a fool not to reconsider my position considering what is going on now. We are in the midst of a Sea Change in IRS practices. We are observing the creation of a World Wide automatic tax data exchange program between 192 governments in the world led by the IRS unilateral actions. Countries are beginning to fall into line, under the mantra of “Complain by Comply”, and it is still very uncertain if any lines in the sand will be drawn to stop the international tax compliance tsunami. Canada is that you? Or… will you trade off your independence to get that Keystone pipeline laid across the Midwest? The US does have other tricks up it’s sleeve to bring you around. Levin is crafty and determined. Like the bear in the National park, it knows how to pry off the lids put on trash cans to stop their scavenging. So it goes. Read it an weep! @ Victoria. Brilliant stakeholder analysis. Read it last night and re-tweeted it. It should be posted here too. There is a CPA/Attorney/IRS/ complex being created that feeds off the OVDI and FATCA complexity, and like a force of nature now, there may be no stopping it. You just have to adjust to get out of the way of the tsunami or learn to surf the wave and profit by selling surf boards. @ Joe Smith. I know everyone focuses on marginal rates, but I focus on ‘effective rates’. So, what I do know, is those American friends that complain to me about their tax rates, when they do the “effective rate” calculation to include taxes paid against a gross gross income not reduced by deductions, credits, exemptions, IRA or 401 exclusions, etc, etc, they don’t pay nearly as much as they complain about. So, marginal rate analysis means little to me given the convoluted nature of our 72,536 pages of loopholes. What you effectively pay is what matters. Americans have not yet realized they are paying way to little for all that they want. I am seriously going to look into what would be involved working as an enrolled agent specializing in expat tax preparation. I would need to take some accounting courses, an enrolled agent course and pass the exam…could then realistically gain experience working for someone else such as Greenback or even help out my accountant with grunt work to gain a better understand of how to work out foreign tax credit on form 1116, amt taxes, etc. As horrible as all this is, it could provide me with another string to my bow. I doubt if I’d have the patience to follow it through but it’s certainly something I’m considering. @monalisa 1776 If you can’t beat them, I guess you might have to join the Complex and make money off the absurdity. It is a rationale decision for an irrational policy. @Just Me, yes, it’s my cynical side emerging. I’m not making rash decisions but may eventuly conclude like many others here that renouncing may be the easiest way to simplify my life…I really just want to be able to live a normal life where I live instead of having to budget three months of my wages just to pay my accountant and annual tax estimates to the IRS (for which i will hopefully start receiving yearly refunds). At least with tax planning i have gotten out of my pfic holdings in ‘foreign’ mutual funds and moved my assets into a US-compliant managed portolio which works similarly to a mutual fund but is more transparent. I actually like how I can see that my income is shown, broken down between dividends taken for admin/commissions and the remainder which is allocated to me as a de facto annual payment into my local ‘credit union’ checking account. It’s probably actually being more honestly run than where I’d had it before, perhaps ironically. I think Levin et al have been preparing the field for some time now, and Fatca is meant to lay the ground work for the end game. I also think it’s not just about the money. It’s sociological and political as well. There’s a real in-group/out-group thing going on and politicians like Levin, Grassely and others are masters of exploiting it for winning cheap points from their constituents. Beating up Expats from afar doesn’t cost them anything. And the “big lie” of Americans abroad not paying their fair share; what Homelander wouldn’t swallow that one–hook, line, and sinker? @Col, my fear with their current mindset is that they will find ways to punish those who’ve recently renounced by making it very difficult to ever cross the border again (Reed Act). With my parents in their 70s I simy don’t want to risk this so would not consider renouncing until after they’ve passed on. It’s heartbreaking to have to even consider it. I wish they could appreciate all the anguish they are causing: not just financial but psychological…it’s cruel. Before I learned of all this, I used to instinctively consider renunciation an abominable act and will always resent being put into such a quandary. It’s unforgivable of them, really. But if it turns out to be the only way I can survive, then I will have to do so…in the meantime, I am going comply and hope I’ll continue to be able to afford to. Not all decisions are purely economical for me. I am grateful that my parents would now understand if I eventually had to renounce in order to survive but I am still very uncomfortable with it. I hate this dilemma being forced upon me. I can remember one accounting firm expressing dismay that I hadn’t already renounced; at the time it was before I fully understood the complications and had assumed they were just using scaremongering…it seemed such an extreme thing to do…I wanted to believe that the IRS would understand the notion of reasonable cause because, after all, I had naively assumed that the tax treaty would protect me from double taxation(hadn’t yet learned of the savings clause). why is it Alaskans always have to mention bears?